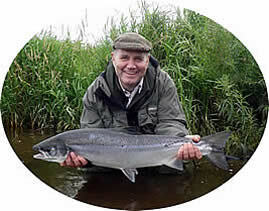 Welcome To Border Game Angling UK - Fly Fishing lessons on The River Eden in Cumbria, Guided Fishing in Cumbria, Fly Fishing Gift Vouchers available. 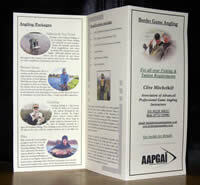 AAPGAI Spring Assessments & Open Day (Scotland). 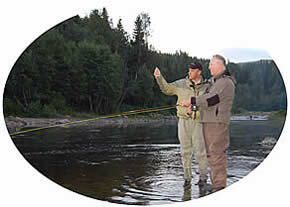 Visit Border Game Angling for all your tuition requirements with both Single and Double Handed Fly rods. Gain advice on balanced outfits etc, & address some of the many tactical techniques required for both Rivers & Stillwaters. 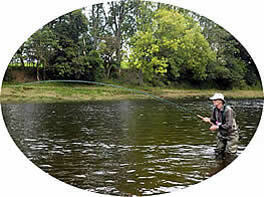 All fly fishing equipment can be supplied for the tuition sessions at no extra cost to you, although it would be in your best interest to bring along your own equipment if you already have some. 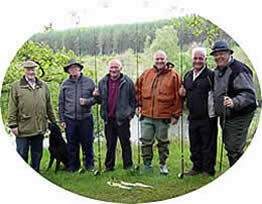 GIFT VOUCHERS ARE AVAILABE FOR ALL OCCASIONS & ARE REDEEMABLE AGAINST TUITION, FISHING, GUIDING, COURSES & B.G.A. HOLIDAYS. Click on the above link to view a few more Border Game Angling visitors enjoying the results of their tuition sessions whilst fishing on private beats of the River Eden in Cumbria. The Eden valley is just a beautiful place to spend some time. 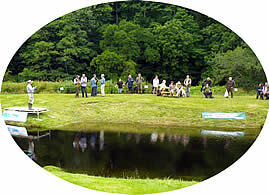 Casting demonstrations for clubs and country shows are available throughout the year, covering all disciplines and techniques, with both Single & Double Handed fly rods. 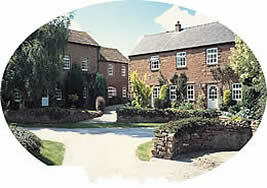 whether you prefer the tranquility of a country hotel, the warm log fire of a cosy traditional Cumbrian pub, or a bed & breakfast situated in the heart of the City, we can most certainly recommend something for everyone. For further accommodation options and information about the area, please visit the Cumbria Lake District website by clicking the link on your Left.